If you have been teaching for a while and you don't have a degree in computer programming, no one expects you to stop what you are doing and go become an expert in code, you are an expert in kids. Code is a text, it communicates something, it does something for some reason. With the help of simple apps like ScratchJr, my students can compose these meaningful texts, even my pre-readers. If you are a teacher who likes to address standards in multiple contexts (spiraling), coding can become another stop on your instructional tour. My students have plenty of problems to solve every day, and leveled programming apps give me a chance to teach problem-solving skills. Most of the programming work my kids do is more open-ended, and composing those texts is a problem-rich process. Since you as the teacher are not a code expert, this problem solving can be very genuine. When I teach this part of coding I enjoy being a partner in the process with the kids, helping them find the right information on the screen. So much of this is actually reading strategy instruction. (READ THE SCREEN). Google's CS First curriculum is a collection of fun activities like “Make your own Google Logo.” Through the activities, students learn about and apply computer science concepts. Students quickly learn that they can create these texts about the things they care about. Like the Show? Buy the Book! 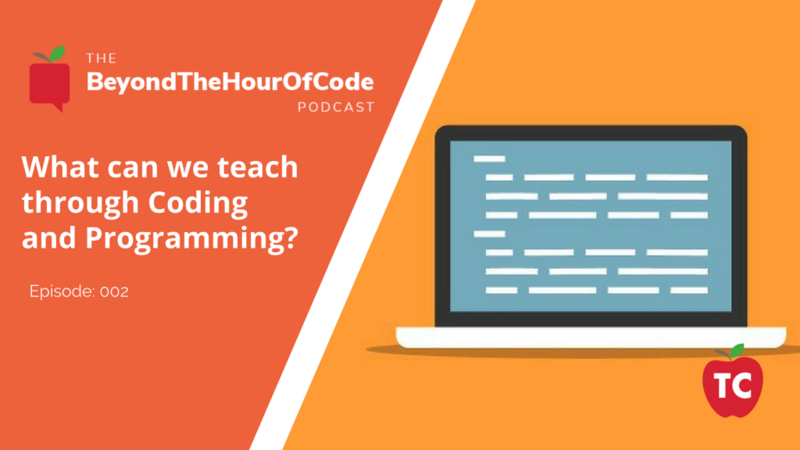 Programming in the Primary Grades: Beyond the Hour of Code is your guidebook for keeping the focus on your highest goals as you bring coding into your classroom. Sam is Makerspace coordinator at Echo Horizon School, the nicest little school on Los Angeles' West Side. In the classroom since '02 Sam has taught grades PreK-12. Every lesson is a writing lesson. How Can We Best Get Our Senior Class Ready For Their Post Graduation Colleges and Careers? How Can Tech Coaches Use PD Days To Establish A Month’s Worth Of Teacher Interactions? Learn Why It’s Important To Know Your Audience When Creating A Content Strategy For Your Brand Today! Let’s Talk Website Strategy: Should You Be Building A Website … A Podcast … Or An Educational Brand? Why Should Your Avatar Determine The Content Strategy For Your Blog or Podcast?